Selling products online has never been easier, with tools available to make setting up shop possible, even for people without a strong technical background. Although the most professional online stores are usually custom-built by web design specialists, there are many options out there for the startup or small business. 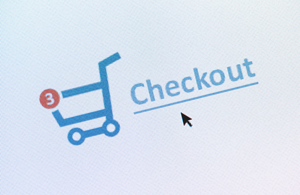 Here are some of your options for setting up an online store. These are great options for the budget-conscious business owner. They are surprisingly cheap and offer support for many different payment gateways and merchant accounts. The basic premise of these ‘hosted’ sites is that your store is created using the company’s proprietary system and lives on their servers for a monthly charge. You won’t have as much flexibility as you have with a fully custom e-commerce solution, but if your business is just starting out and you don’t have the resources to hire a web designer, Shopify and BigCommerce are great options for you. With a very low barrier to entry, you can get started selling your product from day one. Upload and go! Open source options like WordPress with WooCommerce or OpenCart are frameworks that have evolved from humble beginnings to be quite capable and solid choices for the business wanting a little more control over their store’s look and functionality. While it’s still very possible to set up your own store using a self-hosted solution like WordPress with WooCommerce or OpenCart, we recommend using an experienced web designer to develop your store. You’ll save time and money and be able to start selling more quickly than if you have to learn the technical details yourself. These types of solutions fall somewhere in between the hosted solutions and fully customized solutions – you have quite a bit of flexibility with both the design and the functions of your store, while keeping the overheads quite low. Solutions like Magento (owned by Ebay) are highly capable online stores that require talented developers to set up. Your store will gain a high level of design, strength and customizability, with an increased development time and cost. This option is suitable for more established businesses who want to be set up to grow exponentially, and who have the budget to embark on such a project. One of our clients had a point-of-sale and inventory management system they used in their retail locations, so their online store needed to track sales and inventory movements and record them in the point-of-sale system. There was simply nothing available that had the functionality they needed. We created an entire online store system for them, and built in the ability for the store to communicate with their point of sale system. With custom solutions, the cost is highest, but the flexibility is supreme.